Attorneys provide legal information about child custody, visitation, paternity and child support issues. To obtain legal forms, visitation letters and logs, and other tools for resolving custody or visitation concerns, visit Texas Access. 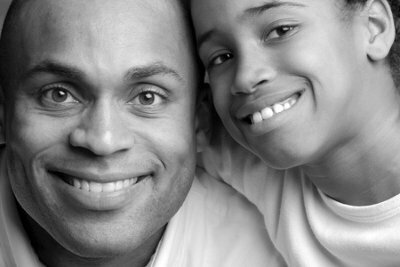 The Family Initiatives Section works with the Federal Bureau of Prisons, Texas Department of Criminal Justice (TDCJ), and county jails to deliver education and resources to incarcerated parents about paternity and child support issues that impact their lives while incarcerated and upon release. The OAG distributes thousands of the Incarcerated Parents and Child Support Handbook each year. The handbook covers the basics of paternity and child support and provides an inquiry form for incarcerated parents to receive information regarding case status, paternity establishment, and communication with their children. Family Initiatives has developed and tested procedures for modifying child support orders for incarcerated non-custodial parents(NCPs). The modification project is now being conducted at multiple offices across the state. The project is designed to assess current incarcerated NCP child support cases, collect updated income and resource information, communicate with the custodial parents on these cases, and prepare/submit child support order modifications as appropriate, and includes training of TDCJ Access to Courts supervisors (law librarians).